Manto, the most controversial short story writer in Urdu, was born on 11 May 1912 at Samrala in Punjab`s Ludhiana district. In a literary, journalistic, radio scripting and film-writing career which spanned over more than two decades, he produced 22 collections of essays, two collections of personal sketches, and numerous scripts for films. He was tried in court for obscenity half-a-dozen times- thrice before and thrice after independence. Manto`s greatest works were produced in the last seven years of his life, a time of great financial and emotional hardship for him. He died several months short of his 43rd birthday in Lahore during January 1955. Manto was one of the great writers of Urdu prose. His work was always finished with a distinctive bite and sharpness to it. 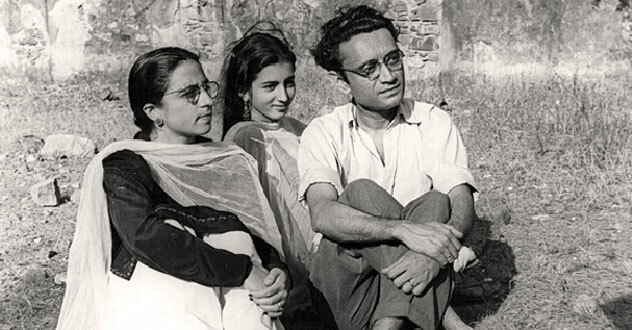 It might come as a surprise to as it was to me, that despite coming from a middle-class Kashmiri family of Amritsar, Manto showed little enthusiasm for formal education. He failed his school-leaving examination twice in a row; ironically one of the subjects he was unable to pass was Urdu, the language in which he was to produce such splendid work in the years to come which alone can give one goosebumps. He was to become the most influential writer in Urdu language during his era and for the times to come. Manto is loved only by few and hated by many since he wrote on subjects on which you and I may think about, but would never talk to another soul about. This was his only crime, his compassion to write whatever he saw. No doubt, he did a fair job in doing so, but nevertheless offended countless hypocrites at the same time. For Manto, a human was a human regardless of what his or her color was or which God he or she bowed their head in front of. To him the kind of society was of no good where blood was shed in the name of religion and on the command of the so called beneficiaries of the religion. All of the inhumane acts never made any sense to him and it is no wonder, because he believed in humanity to an extent to which nobody else could digest or accept even today. In his eyes, nothing could justify inhumanity, cruelty or killing somebody. The best thing about his work is he had no heroes, everyone was a bloody villain. What people don’t get is that he was righteous in light of that day and age. People like Manto himself were the only heroes, and those were victims of constant rejection. Despite all the difficulties, Manto’s integral work stood out and passed the test of time undisputedly. Indeed his work is deeply ironic and mostly profoundly moving. Manto did view the tragedy of 1947 as a not-so-interested party, yet he cared unconditionally. “In the name of God, the Compassionate, the Merciful Here lies Saadat Hasan Manto and with him lie buried all the secrets and mysteries of the art of short-story writing…. – Saadat Hasan Manto 18 August 1954. I wonder why is he still wondering, would he had been alive today he could have seen it for himself that nothing has changed. People are still killed in the name of those unknown for the purposes of humanity, maybe because that is what people do, get killed. My guess is that if he would have been alive today, maybe he would have had more to write about. What is devastating is that people, who tend to do everything illicit and clandestine behind closed doors, take a shot at Manto and point to him as the one who was source of vulgarity. Manto was in fact a soldier in the war against hypocrisy. I say let us all wait for the day when we are held accountable for our deeds, and then we shall surely see who is the one who burns in the fire of hell for his or her sins. Till then, let’s enjoy his work as rare, outstanding piece of art which is incomparable to date since he has been laid to rest.